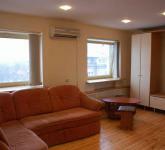 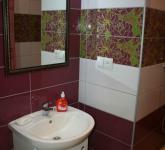 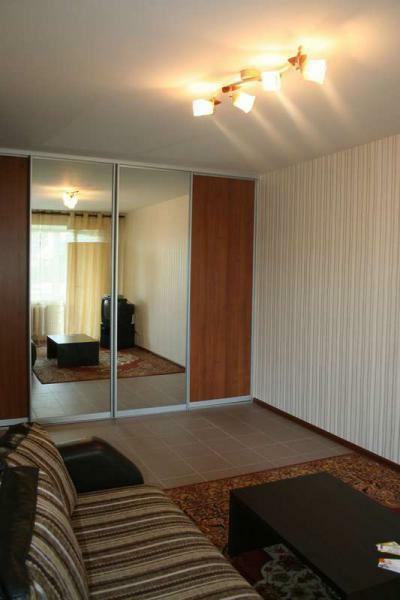 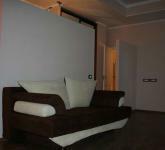 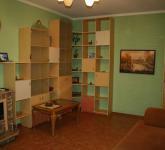 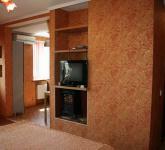 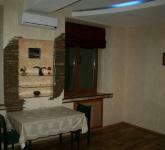 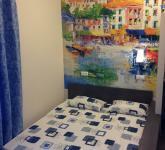 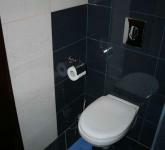 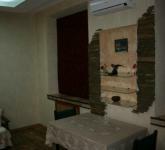 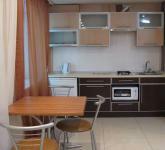 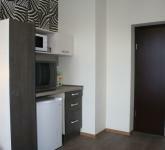 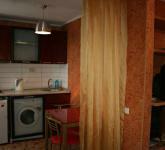 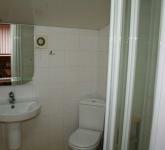 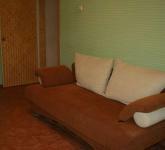 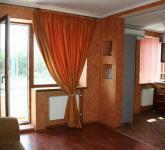 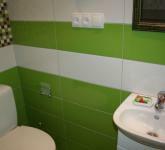 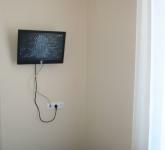 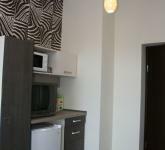 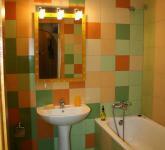 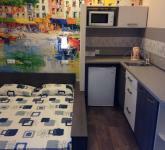 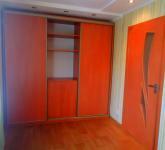 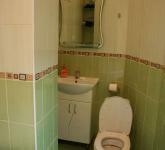 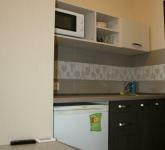 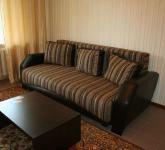 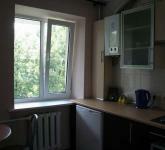 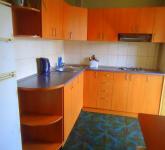 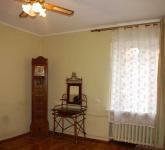 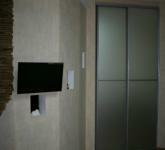 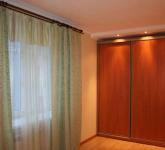 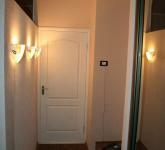 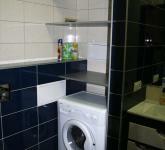 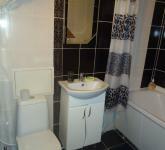 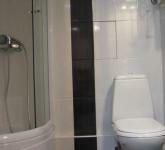 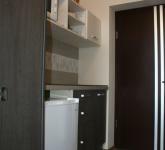 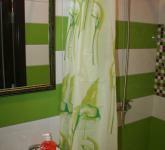 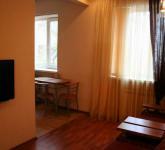 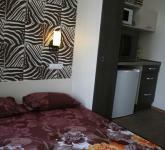 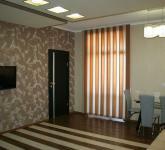 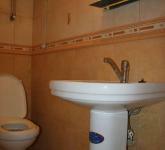 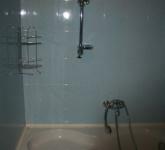 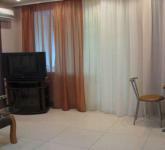 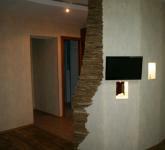 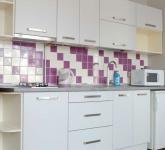 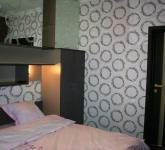 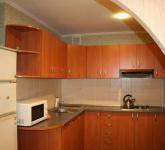 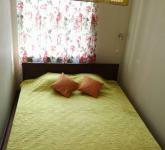 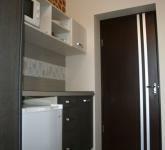 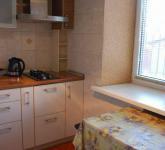 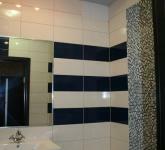 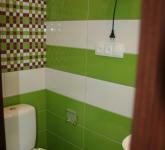 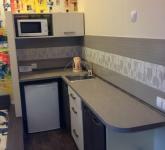 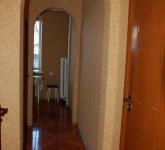 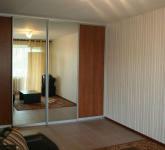 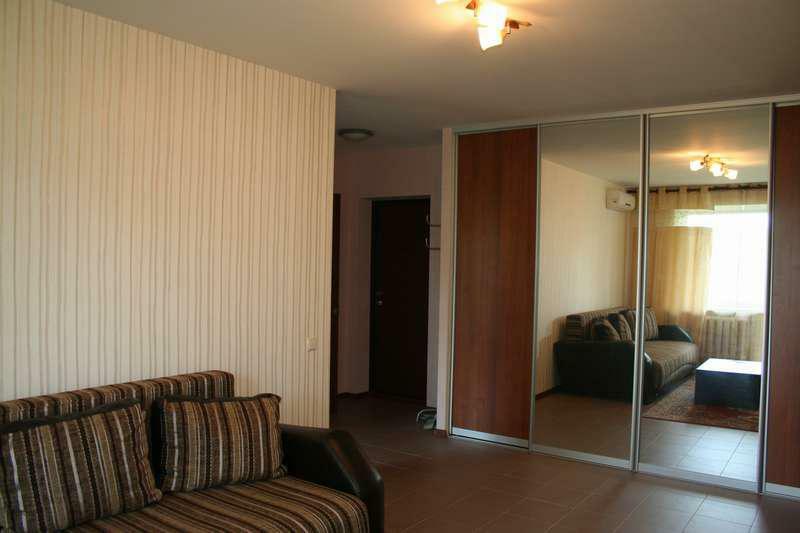 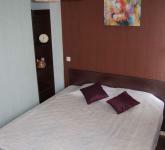 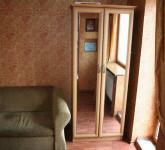 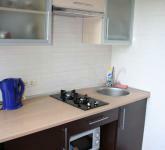 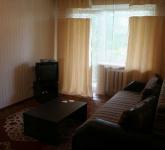 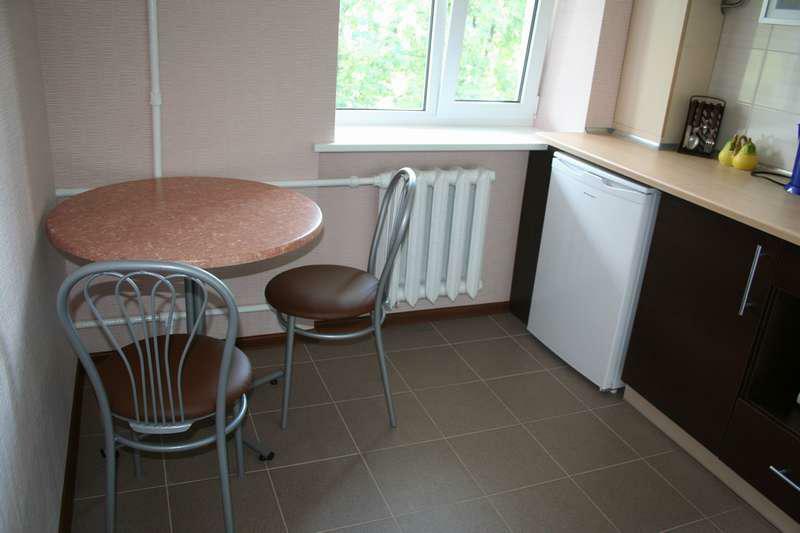 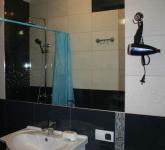 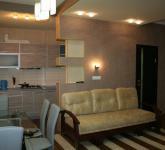 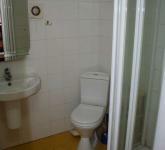 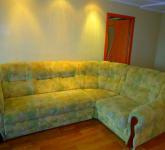 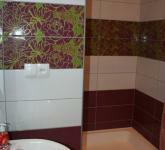 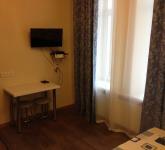 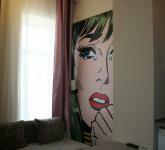 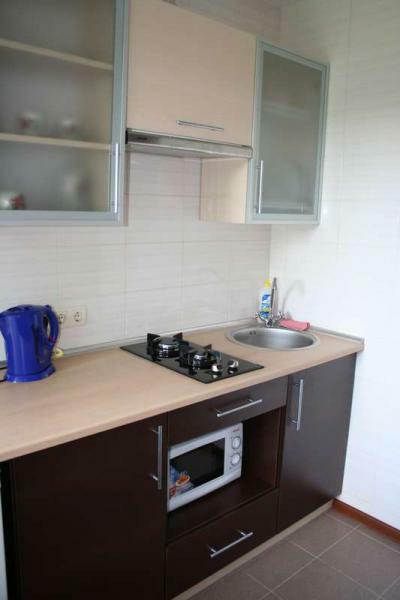 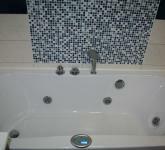 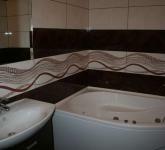 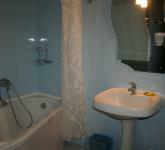 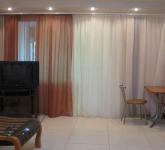 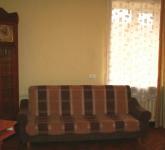 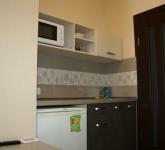 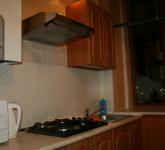 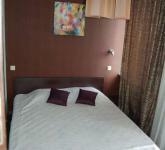 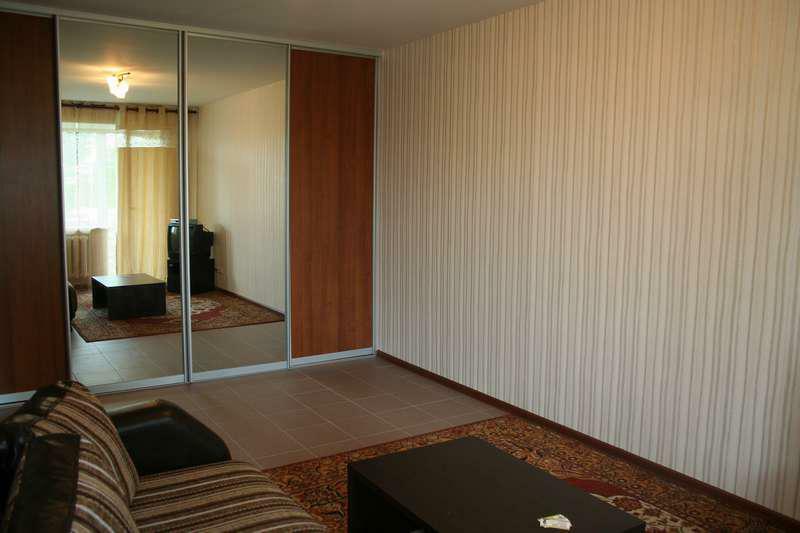 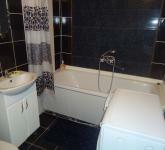 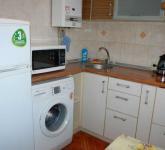 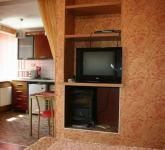 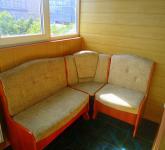 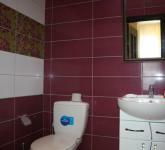 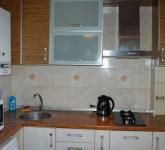 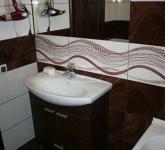 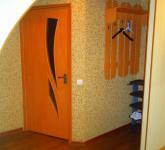 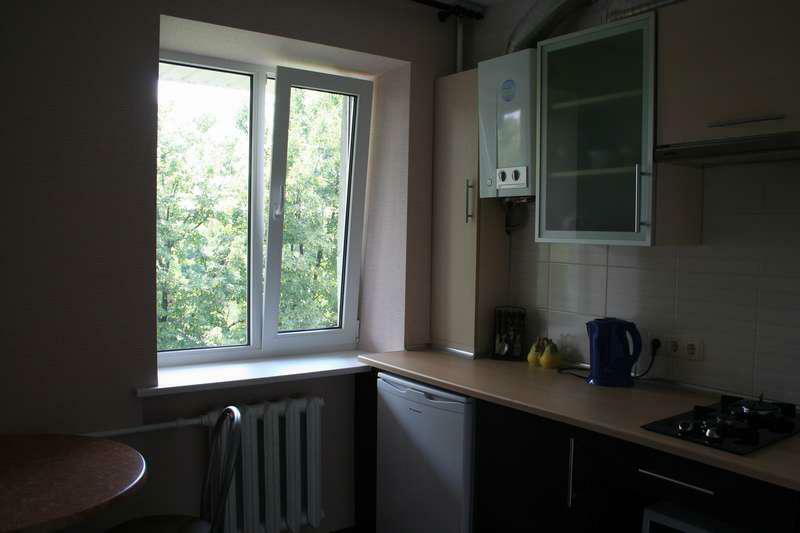 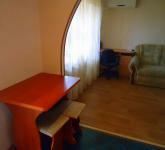 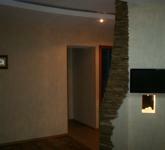 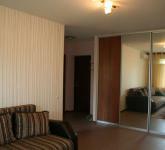 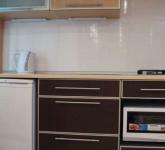 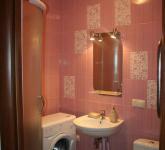 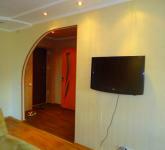 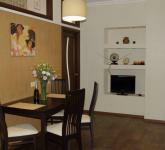 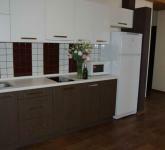 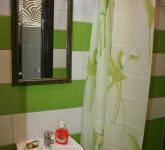 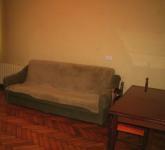 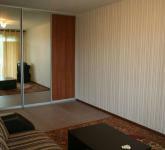 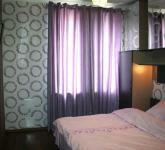 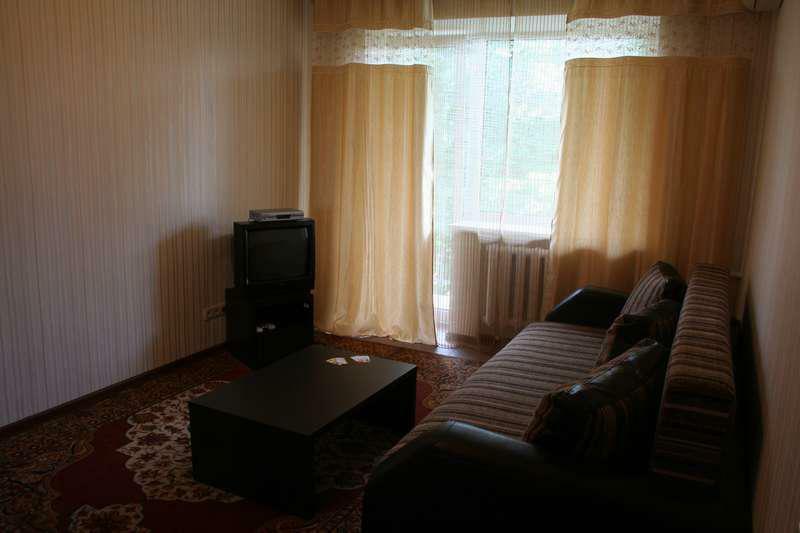 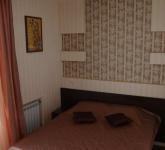 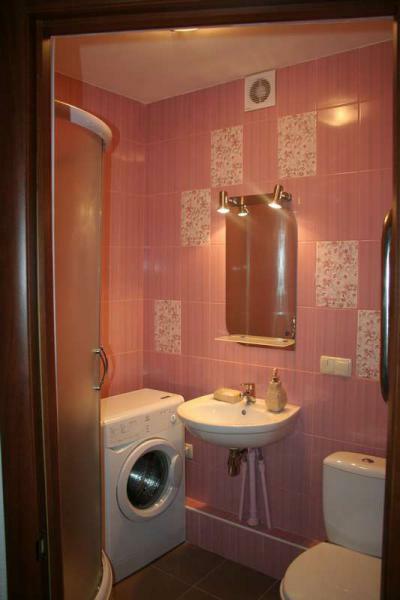 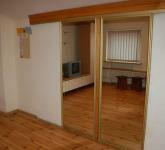 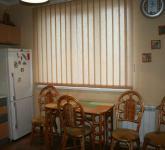 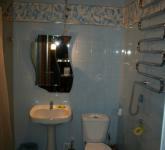 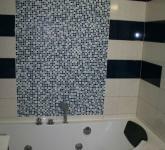 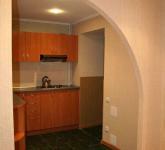 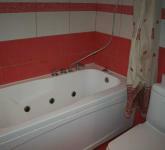 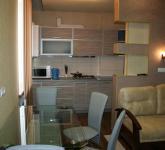 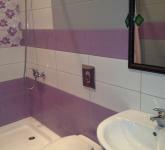 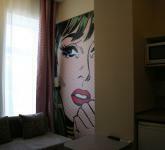 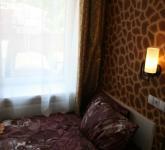 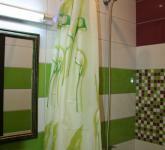 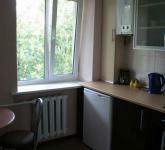 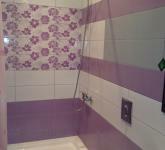 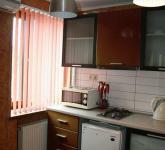 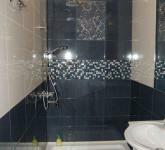 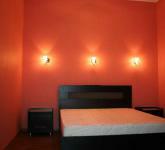 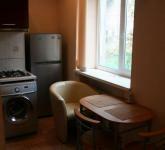 Apartment for daily rent in the center of Kharkov. 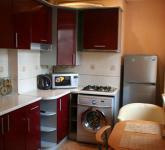 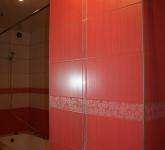 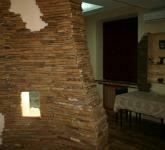 Modern renovation, fully equipped with modern household appliances. 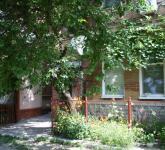 Several min. 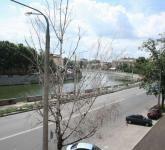 by foot from metro st. 23 Avgusta. 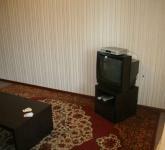 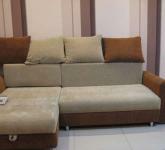 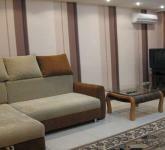 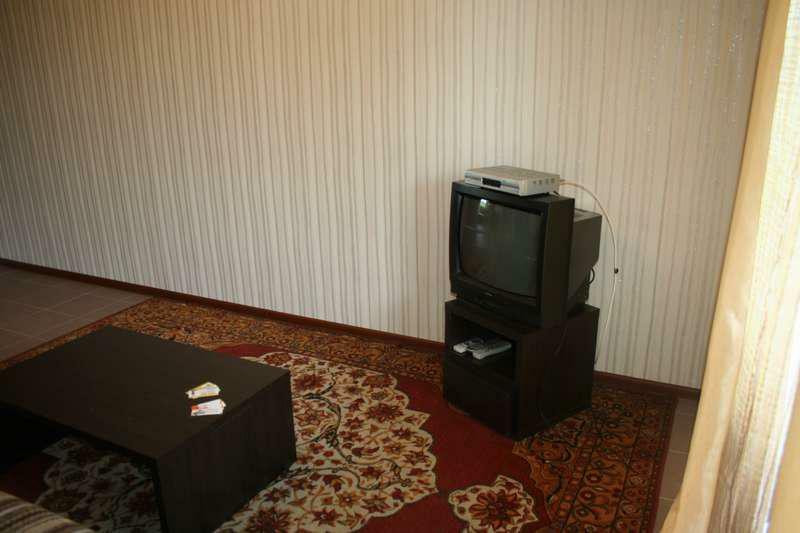 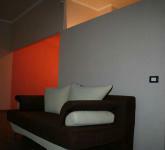 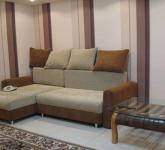 Big sofa, cable TV+DVD, Wi-fi, air-condition. 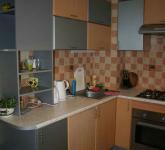 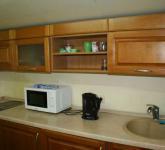 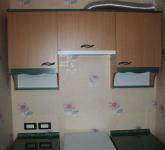 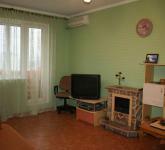 Fridge, microwave oven, electric kettle, gas-stove are on the kitchen. 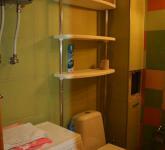 Shower cabin, water-heater in the bathroom. 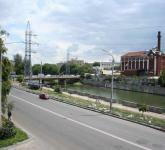 Many shops, supermarkets, cafes, restaurans are situated nearby. 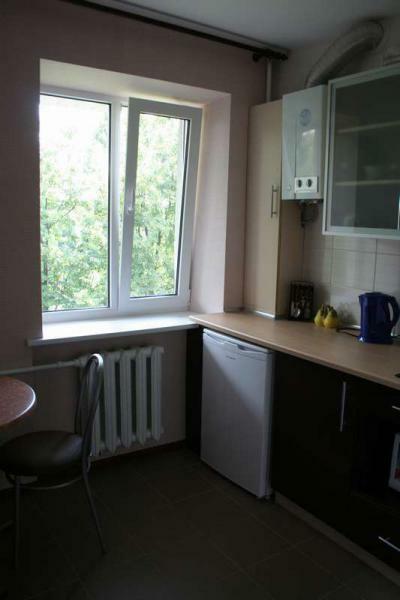 Parking is in 3 min.